Hi! My name is Jill and I’m from Northern New Jersey. My house is a busy place every day! My husband, Ryan, and I have three children (ages 10, 7, & 3), two dogs, one cat, and more fish than I can count! 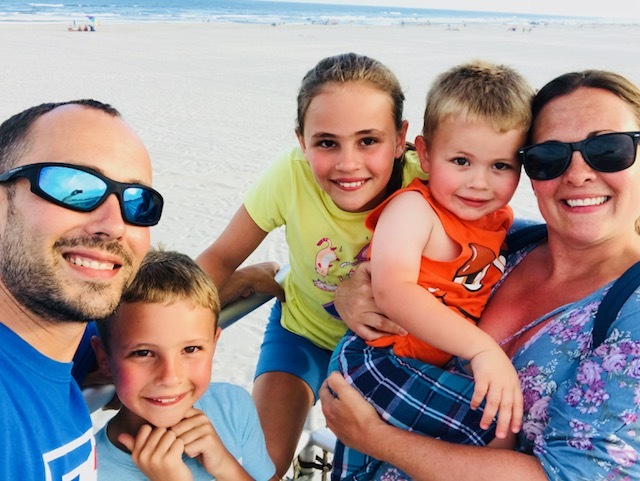 Ryan works near New York City, commutes over an hour daily, and works countless hours of overtime each month. I am a 2nd grade part-time Special Education teacher in an elementary school, about 30 minutes from my home. As a busy wife, mother, and teacher, I never really enjoyed cooking as it was “another chore” I had to do each day. My husband doesn’t cook often due to the hours he works, so the cooking and food choices for everyone fall on me. My real food journey began in November 2015, so I have been learning about what to eat and how to cook real food for a few years now. My food issues began back when I was in high school. Thinking back, I didn’t eat very healthy, mostly carbs and snacks, but played sports year round so I always felt like I was in shape. There was always that pressure to be thin, and I caved to that pressure. Some days, I would only eat a white bagel or just crackers with soup. Nothing else. It never dawned on me what the processed food I was eating was doing to my body. These stomach issues went on for years. I went to countless doctors looking for answers because I knew something was wrong. I was told, “It’s all in your head, stop stressing about everything.” Finally, one doctor told me he thought I had IBS, or Irritable Bowel Syndrome and wanted me to keep a food journal of what I was eating. I began doing this and it was the first time in years I noticed that certain foods I always ate were on the days I felt my worst. 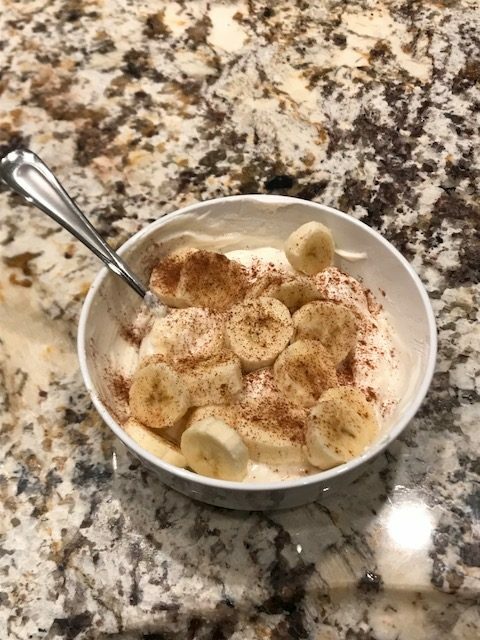 I started eliminating certain foods and felt better. I met Ryan and we got married two years later. Ryan and I enjoyed eating out, drinking, and being with family and friends often. Ryan never had to watch what he ate, so I began to not watch what I ate either. I slowly slipped back into eating whatever was convenient and did not watch what I was eating. The stomach issues and IBS symptoms appeared again. I was constantly complaining (without even realizing it) about how sick I felt. My husband was tired of me always complaining, and I was frustrated because I felt sick all the time. The weight was slowly creeping on, I was upset with myself for not watching what I ate, and I didn’t have the energy to start counting points or follow a strict diet plan. In the meantime, Ryan’s weight was slowly going up as well. He went to the doctor for a physical and found out he had high cholesterol. The doctor wanted to put him on medication immediately, but he asked if he could make some changes with his diet and come back in 3 months to get rechecked. That night, we decided to buy a Nutribullet and start drinking one vegetable smoothie every day. We both felt better and actually enjoyed drinking them! 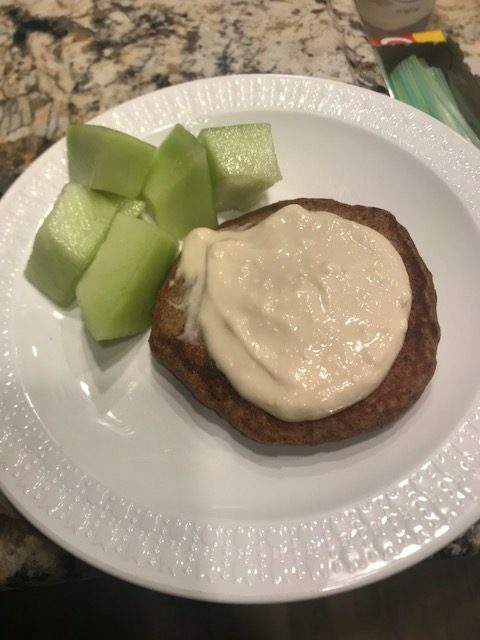 One day I was online looking at smoothie recipes and I came across a dinner recipe on Facebook that a friend had “liked”. The meal looked pretty good, so I checked it out. 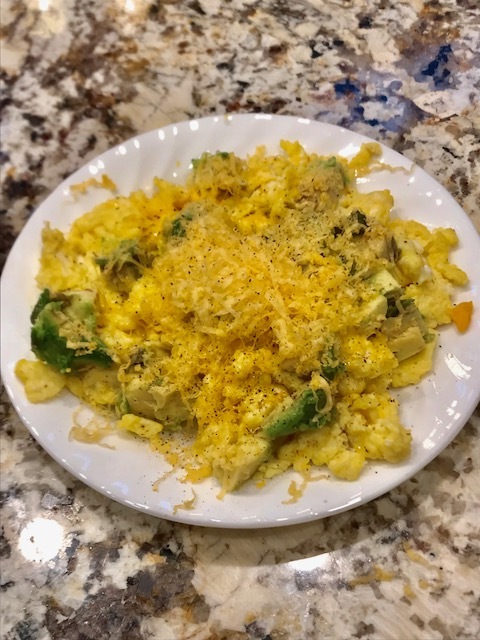 The recipe led me to the 100 Days of Real Food blog. 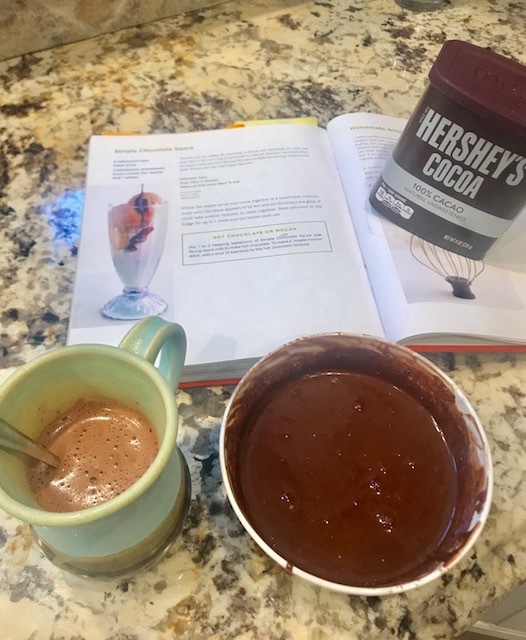 I began reading how to make changes in 100 days and thought, “I can do this!” This was my real turning point with food, and I have slowly been making changes and introducing real food to my family ever since! My IBS is gone … stomach issues, gone! Ryan’s cholesterol is great and no medication was ever needed. 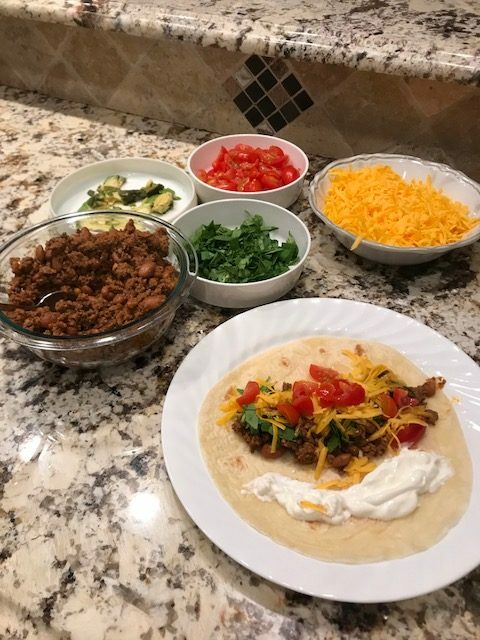 My children eat almost EVERY meal I make now! My daughter constantly comments about how good the food I make tastes and how much she enjoys it. 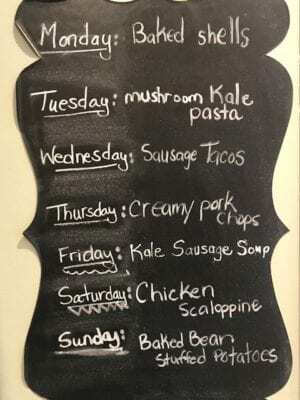 We set up a food menu in the kitchen that has greatly helped with planning meals and keeping us on track. When I food plan, each person in the house tells me one dinner they want for the upcoming week and it almost always contains real food. 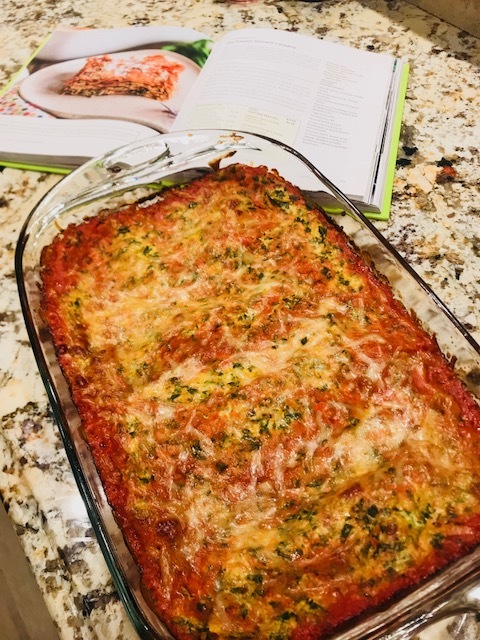 They love choosing a favorite dinner and it makes meal planning easier for me. Ryan and I have more energy which allows us to be more active with our kids. Lunch: Homemade Berry Smoothie: made with mixed frozen berries, spinach, almonds, coconut oil, honey, and water. Breakfast: Homemade Berry Smoothie: made with frozen berries, spinach, almonds, coconut oil, honey, and water. Matcha Green Tea and grapes. Lunch: Egg salad sandwich on Ezekiel bread—eggs mixed with half of an avocado, salt, and pepper. 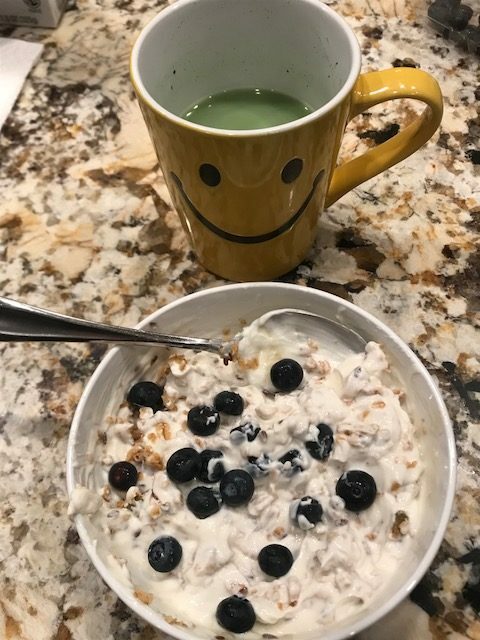 Breakfast: 1 cup of plain greek yogurt with maple syrup, granola, and blueberries and Matcha Green Tea with a splash of honey and whole milk. Snack: Whole milk cheese stick and 1 clementine. 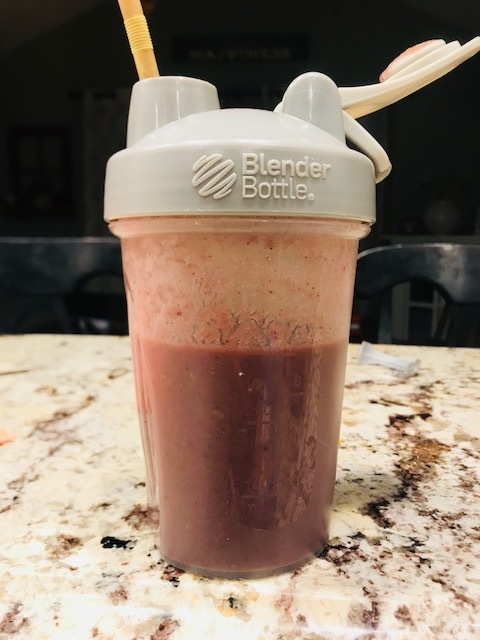 Lunch: Berry Smoothie: kale, frozen raspberries, blueberries, strawberries, cherries, coconut oil, almonds, honey, and water. 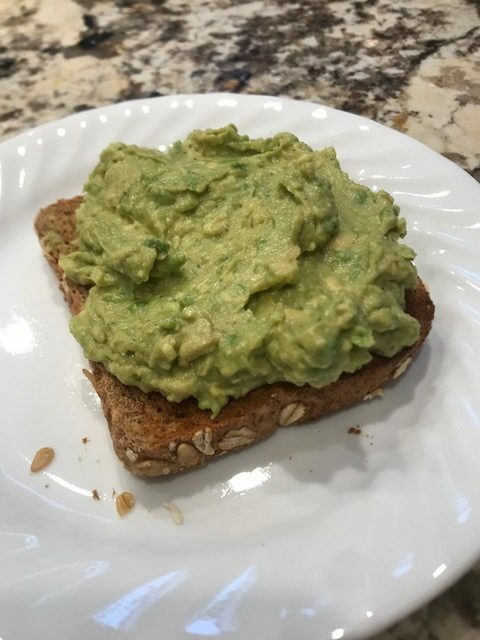 Slice of Ezekiel Bread with mashed avocado, salt, and pepper. Snack: A handful of almonds with a cup of hot chai tea and a splash of milk. Breakfast: Tropical Smoothie: pineapples, mangos, strawberries, avocado, coconut oil, honey, almonds, and 100% grape juice. Cup of matcha green tea with a splash of honey and whole milk. Snack: Greek yogurt with pomegranates. 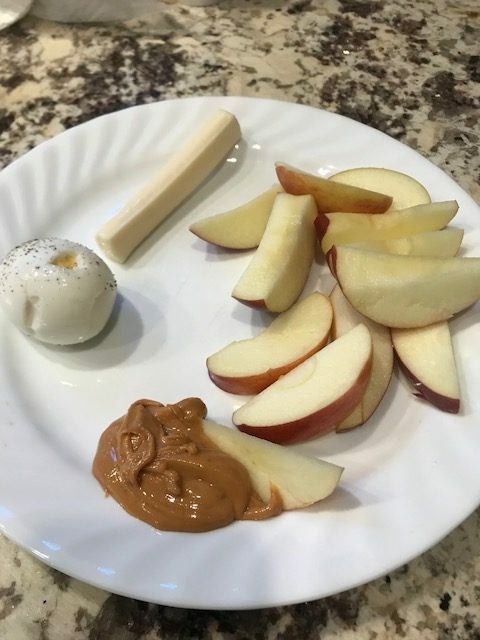 Lunch: Hard boiled egg, cheese stick, and sliced apple dipped in peanut butter. Snack: Cup of decaf black tea and baby carrots. Dinner: Kale, Sausage, and White Bean Soup (from 100 Days of Real Food Fast & Fabulous cookbook) and fresh bread. Breakfast: Homemade Berry smoothie: made with frozen berries, spinach, almonds, coconut oil, honey, and water. 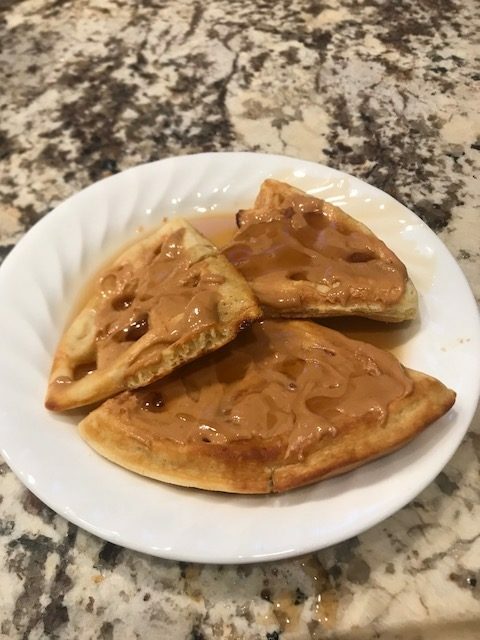 (We use to follow recipes, but now just add what we want to them and they always turn out tasty!) Cup of Matcha Green Tea with a splash of milk and honey. When I share my food choices with people I meet, more often than not, I get a look like, “Oh you’re one of those crazy food people!” … “Not really!” I tell them. It’s a journey I began that has only been positive, and I look forward to learning more in the years to come. 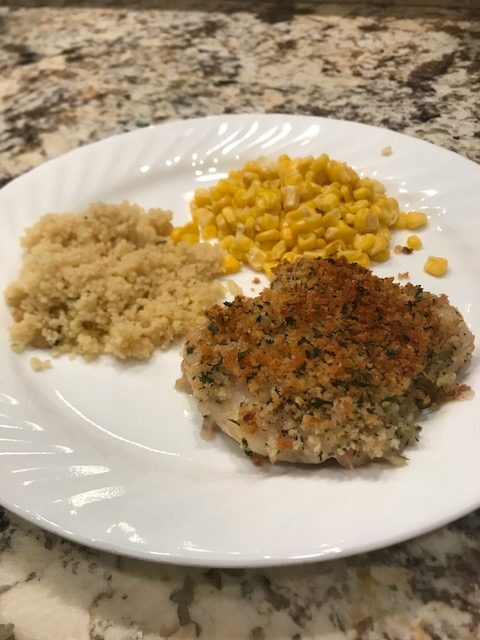 Cooking has now become one of my favorite hobbies, and I really enjoy being able to teach my children about real food. I am nowhere near perfect with my food choices and cooking, but I realize again and again how much food does affect me, both good and bad. When I eat real food I feel good! Make one or two changes at a time. Stick with those changes and focus only on that for a week or more. When you are comfortable with that change, make another! Don’t try to do everything at once because it’s very overwhelming and you are more likely to give up. That’s what I did at first! Any small change that you can stick with is a step in the right direction! Be kind to yourself! It’s ok if you’re not perfect! This is a big one for me. It has taken me a long time to not beat myself up over making a bad food choice. Let it go if you slip up! Tomorrow is a new day and a chance to start over. I love this story, especially your advice at the end. Thank you for sharing :) I love that you started slow with your changes and it wasn’t overwhelming. 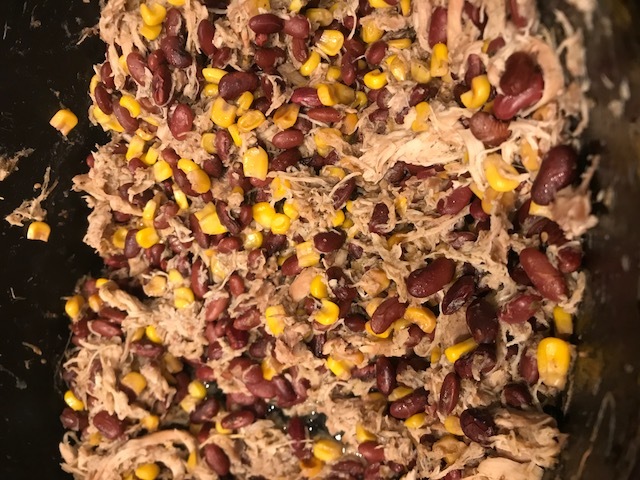 And Lisa’s slow cooker green salsa chicken is one of our favorite meals, too!! That’s really great and motivating article! Thanks for it! Everything looks so delicious! I would only add the advice about drinking water every evening before breakfast, as the results would be better and the body would be healthier. And also I think I would definitely add much more green tea!